Sydney (AFP) - Environmental activist group Sea Shepherd warned Japan on Sunday against resuming "research" whaling in the Antarctic and called on the Australian government to intervene. After a decade of harassment by Sea Shepherd, Japan was forced to abandon its 2014-15 Southern Ocean hunt after the International Court of Justice said the annual expedition was a commercial activity masquerading as research. But on Saturday Japanese media reported that it would start again next year, despite a call by global regulators for more evidence that the expeditions have a scientific purpose. "The pristine waters of the Southern Ocean are once again under threat from poachers," said Sea Shepherd chief executive Alex Cornelissen. 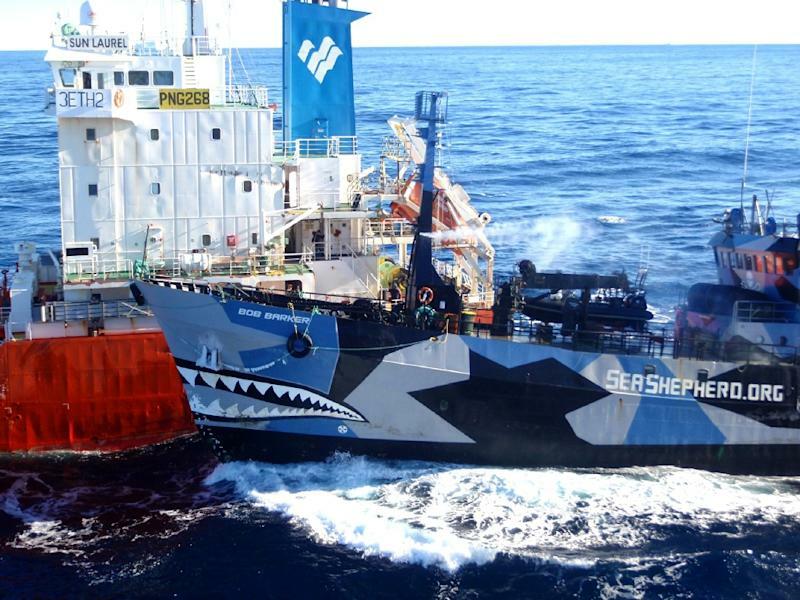 During the suspension of Japan's whale hunt, Sea Shepherd has been targeting the catching of rare Antarctic and Patagonian toothfish in the Southern Ocean. 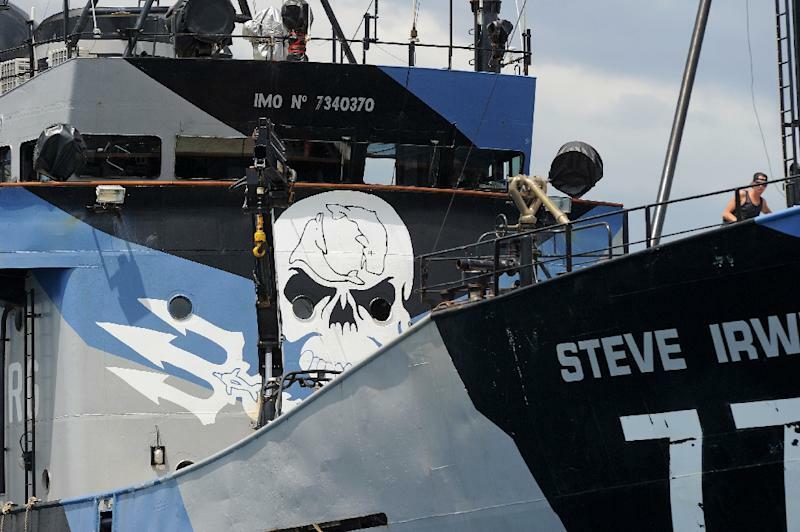 Its main ship, the Steve Irwin, is docked in Melbourne and the group did not say whether it would once again chase the Japanese whalers. The Yomiuri Shimbun and other media said the Japanese fleet could depart possibly by the end of December. According to Japanese reports, the nation's fisheries agency told the International Whaling Commission it would resume its Antarctic hunt by cutting annual minke catches by two-thirds to 333. Australia has led efforts to persuade Japan to halt whaling and Sea Shepherd called on Prime Minister Malcolm Turnbull to use diplomacy to ensure it does not resume. "Prime Minister Turnbull has a duty to ensure that the dire matter of Japan's whale poaching operations is at the top of the agenda when he visits Japan in December," said Sea Shepherd Australia managing director Jeff Hansen. Japanese public broadcaster NHK said Japan's Prime Minister Shinzo Abe was considering inviting Turnbull to Tokyo as early as December for a summit. Australia has previously floated the idea of sending a Customs vessel to monitor whaling in the Southern Ocean, but Foreign Minister Julie Bishop was non-committal on Sunday. 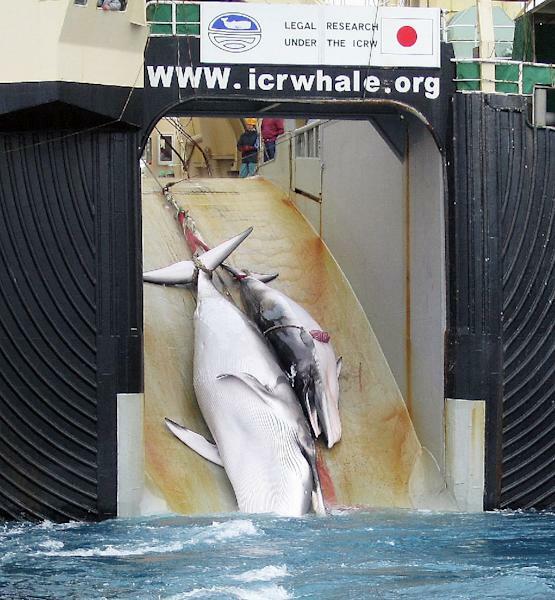 "The Australian government has made representations at the highest level to urge Japan not to resume whaling this year and to comply with its international obligations," she told the Australian Broadcasting Corporation. "I have raised the government's concerns directly with Foreign Minister (Fumio) Kishida and discussions are ongoing." Kishida was in Sydney last weekend for annual bilateral meetings. It makes no secret of the fact that meat from the mammals -- killed ostensibly for research -- is processed into food.